I recently wrote about accepting gifts from students and while not as controversial a topic, accepting gifts from employers can be difficult. Many employers give gifts for important holidays. And most of the time everyone in the office receives the same gift. It's not meant as a bribe, it's simply a way to say thank you. 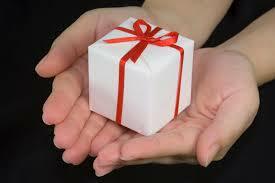 Issues arise when you're being singled out and getting gifts that others aren't. If this is the case it can make you feel like you're being bribed or bought. Politely, but firmly decline the gift. If things persist, consider talking to the admin if you can. In the worse case scenario, you might want to consider quitting your job. Hopefully things will work out for the best.